Sara is a native Ohioan with an intense love for the Buckeyes. However, she spent most of her early professional life in New York City designing for a major fashion corporation. She later decided to give up her design position in order to build an identity for an artistic, vintage clothing and mercantile storefront called AVTOMOBILE. A few years later, Sara moved back home to start a family and work for a local fashion company where she managed a team of five childrenswear design departments. 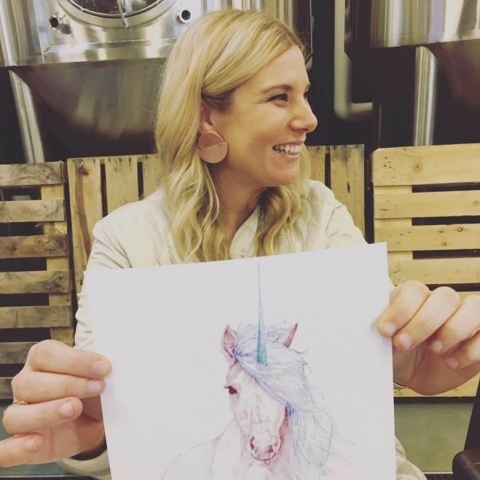 She is happily married with two boys, the owner of an Illustration company, and an adjunct for Columbus College of Art and Design.